"Are There Any More Real Cowboys?" Left out in these hills? before the sun gets high? real cowboys in this land? 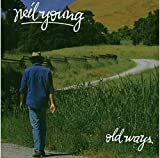 NEIL YOUNG videos - Are There Any More Real Cowboys?